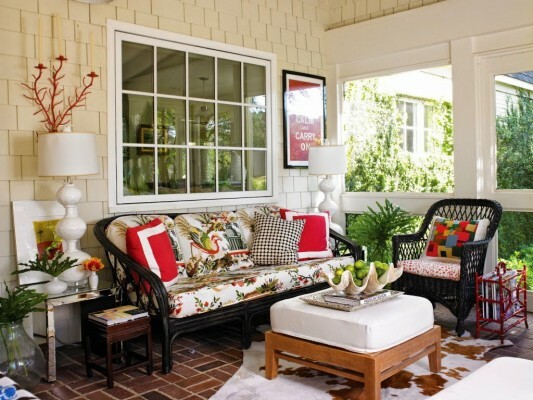 The front porch is an extension of your home so why not treat it as you would other rooms? 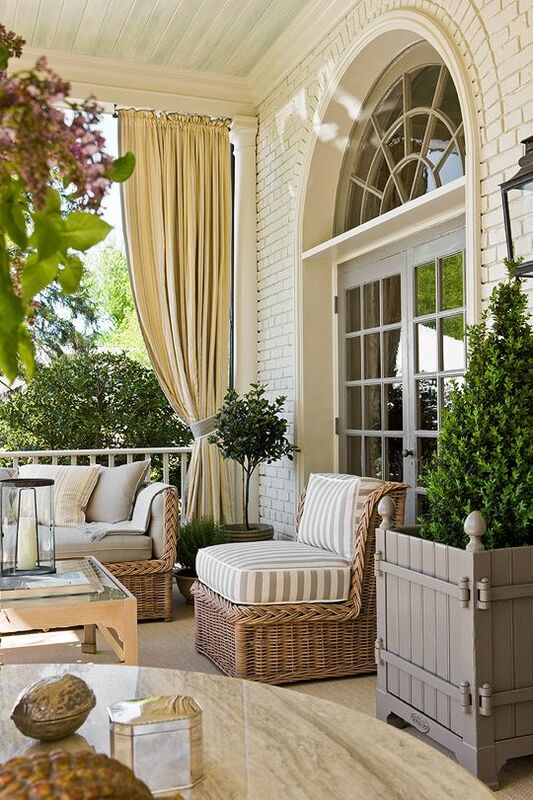 You can relax, dine or entertain on your front porch. 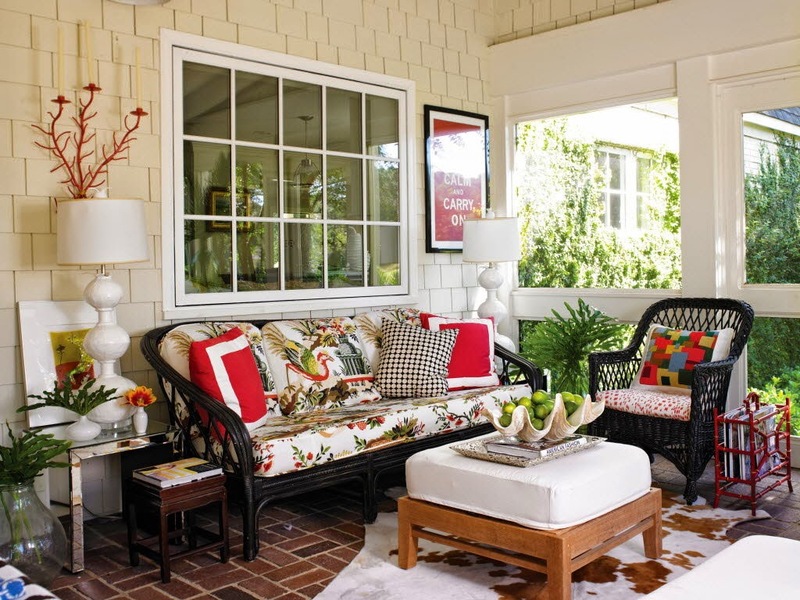 Here are a few inspiring ideas for turning your front porch into an inviting and comfortable area to enjoy all year. 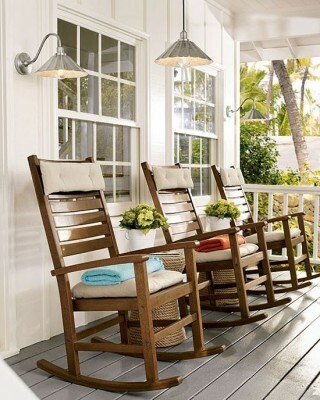 Decorate your front porch just as you would any other room, just keeping in mind the natural elements. 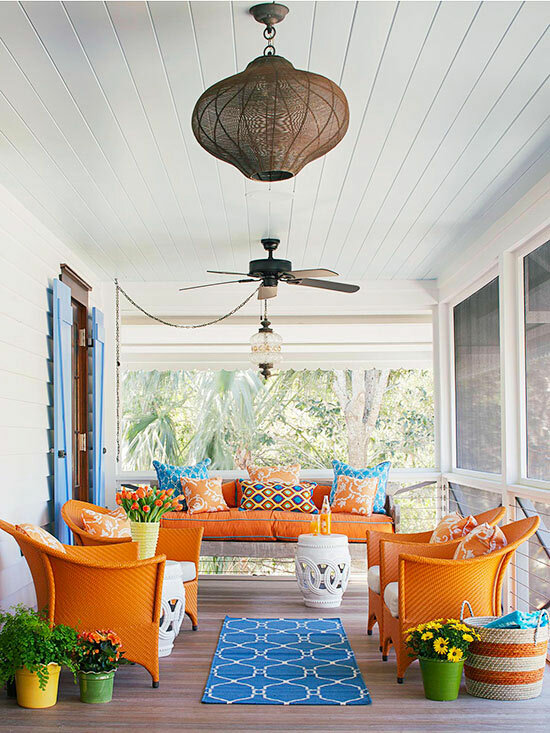 Create rooms on the porch that are comfortable and can be used for leisurely relaxing or for friendly gatherings and entertaining. Make the space inviting with personal touches, such as flowers and accessories. 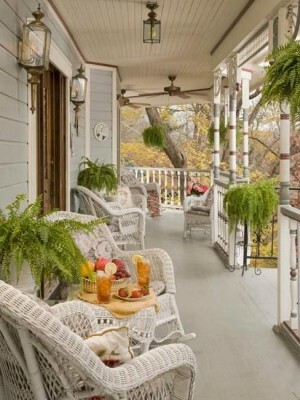 Charming wicker on a covered front porch speaks to lazy summer days spent sipping iced tea while enjoying a good book or conversation with a neighbor. If the space allows, turn your front porch into a conversation or sitting area with wicker pieces. 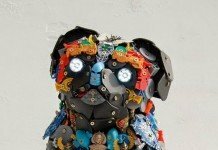 Accent it with potted plants and flowers and various accessories. Enjoy a meal on your front porch. 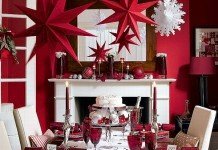 Put a small dining set on the porch and enjoy an evening meal, an early morning breakfast or a luncheon with a few friends. Bring out the good linens and china to make it a special occasion. For a romantic dinner at night, string pretty lights along the porch and light some candles. If privacy is an issue, install lattice panels or curtains. Enhance the “walls” of your front porch with hanging plants and even pictures and mirrors. 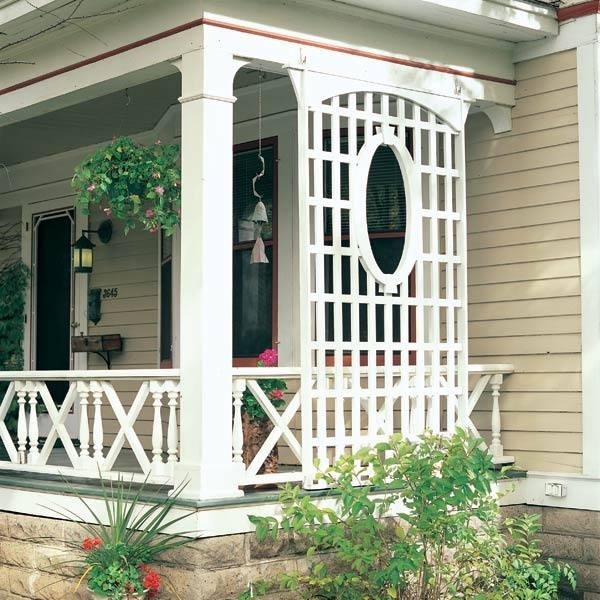 Place planters of flowering vines along the base of the lattice and let them grow up for even more privacy. 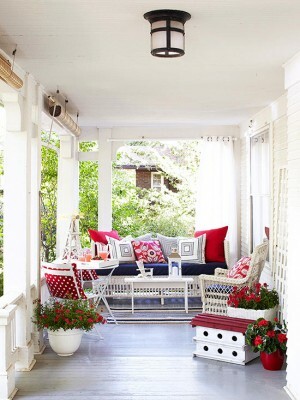 Make the space yours and leave the world behind as you step onto the porch. A porch swing is always a special treat. 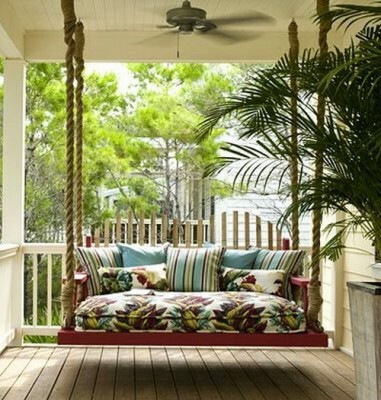 A welcome addition to the front porch, a swing lets you glide softly while enjoying the fresh air. A porch swing is a great place for a nap or cuddling up with a good book or a friend. Place a garden seat or table close by for refreshments. No front porch is complete without at least one rocking chair. 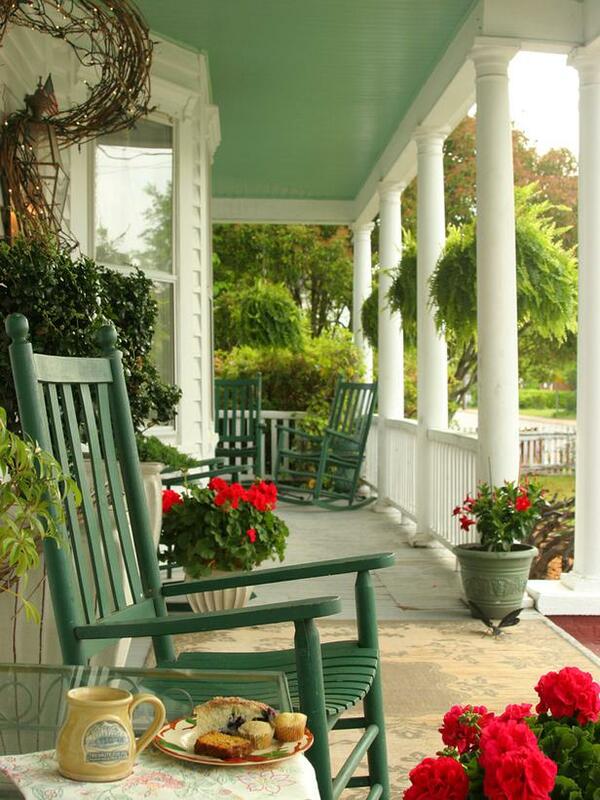 Slow down, relax and enjoy the outdoors as you rock on your front porch. Rockers across a front porch are a sure sign of come-on-up-and-sit-a-spell hospitality. 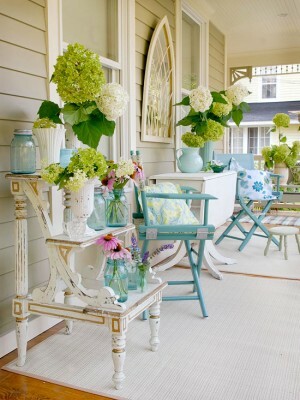 They bring charm and style to the front porch. Accent them pots of ferns or brightly colored seasonal flowers. 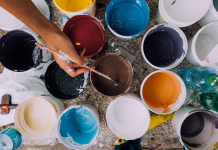 Enjoy the sweet scents of spring, the warm breezes of summer, the crisp and cool air of fall or even the brisk winter on your front porch. 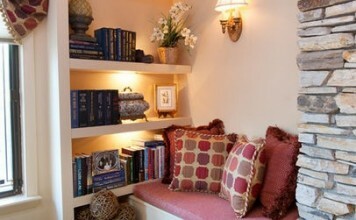 Make it a cozy spot for you, your family and your guests. 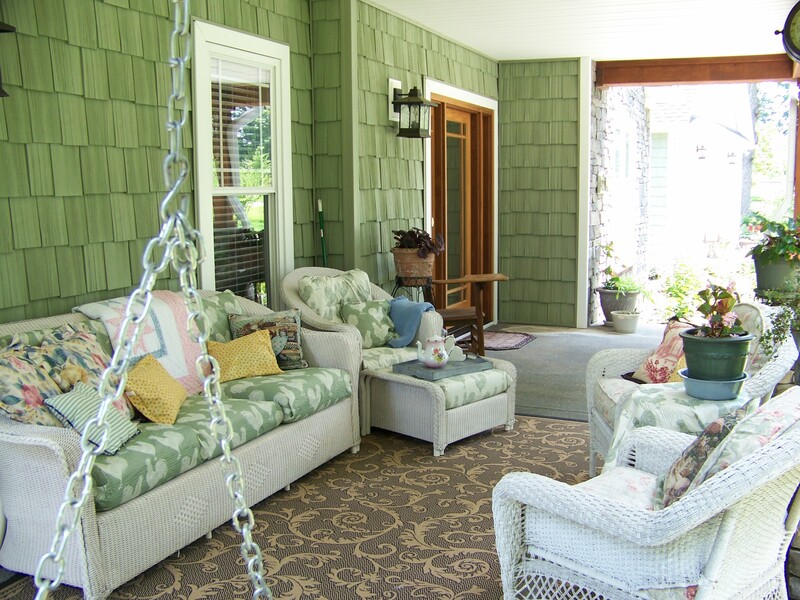 Simply treat the front porch as an extension of your home and enjoy the extra space with outdoor benefits.